Today Murray Newlands officially announces the new annual World Media Awards and Blogging Event to be held October 26, 2011 in the PayPal building in San Francisco. Several major sponsors have already signed on including the eBay partner network, Viglink, Pace Lattin and Trancos. Media sponsors include Read Write Web, Adrants, Bloggeries, Media Vision and The Affiliate Marketing Awards. Nominations are now open. The first 100 bloggers who write a blog post about the event and put a banner like the one in this post on their site receive one free nomination. 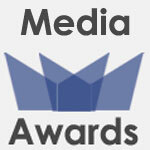 See the World Media Awards nominations page for details. World Media Award judges include Steve Hall, Krystyl Baldwin, Rob Bloggeries, Julie Wohlberg, Sarah Austin, Ivka Adam, Chang Kim, Pierre Zarokian, Jeremy Wright, Cheryl Contee, Dave Duarte, Adrian Harris, Tanya Alvarez and Dana Oshiro. If you are interested in being a judge or wish to recommend someone else as a judge contact Murray. Click this link to >> Buy World Media Awards Tickets. To make this one day event as beneficial as possible, Murray is doing a poll to determine what bloggers and businesses most want to see presented. Your input is greatly appreciated. It will only take a minute to check the topics you like (you can choose more than one) or to suggest another presentation. Thank you for taking the time to answer the poll. Have questions? Leave a comment in this post and I’ll get you the answer or visit The World Media Awards Event official site. Use hashtag #wmads on Twitter. I will definitely attend that event.I am not a blogger but i do write some blogs. Wow this event is big if Ebay and Paypal are in! Does he use the same logo for this as he does for the affiliate awards? Is it too late to submit my blog for consideration for finance blog? I would love to get involved in the networking and opportunity an event like this would provide. This will be a very interesting event for the world media and especially for the many bloggers out there. This event will stimulate the participation of bloggers and online entrepreneurs. It will also serve as a motivation for everybody to do their best. That’s an easy one…the bet ways to make money with a blog. That would be a great talk to hear, especially for a newbie like myself. Getting started is the hardest part for all of us. Thanks for the heads up on the event. And it’s in the Paypal building…that’s impressive. Yes, eBay is lead sponsor and they’re affiliated with PayPal so two major connections there. You may be interested to know that I just got approval to add Best SEO blog as a separate category from Best Marketing Blog. Did you know you can get a free nomination for blogging about the event and earn commissions and other perks by becoming an Ambassador? This is going to be pretty exciting. I’m sure this event will also be posted to other blogs as well and they should be also looking forward to what will turn out. Good Luck! Have you considered nominating your blog for Best Finance Blog? You can receive a free nomination for blogging about the event or become an ambassador to earn commissions on sales. If you had a Twitter account I could be sending you traffic and letting you know about income opportunities. You may want to list your blog in the post I’ll put in CommentLuv.